SHIFT mentoring program vol. 3 started in January and we’re already in middle of the process. The participants have taken part in few workshops, group and one-to-one meetings. They have received great advice from Laura Robertson and Mike Pinnington (The Double Negative) on writing artist statements, and Satu Nurmio from YLE has been guiding them with press releases and contacting the media. Moreover, Katja Räisänen’s workshop gave them tools to operate in the art market and business. 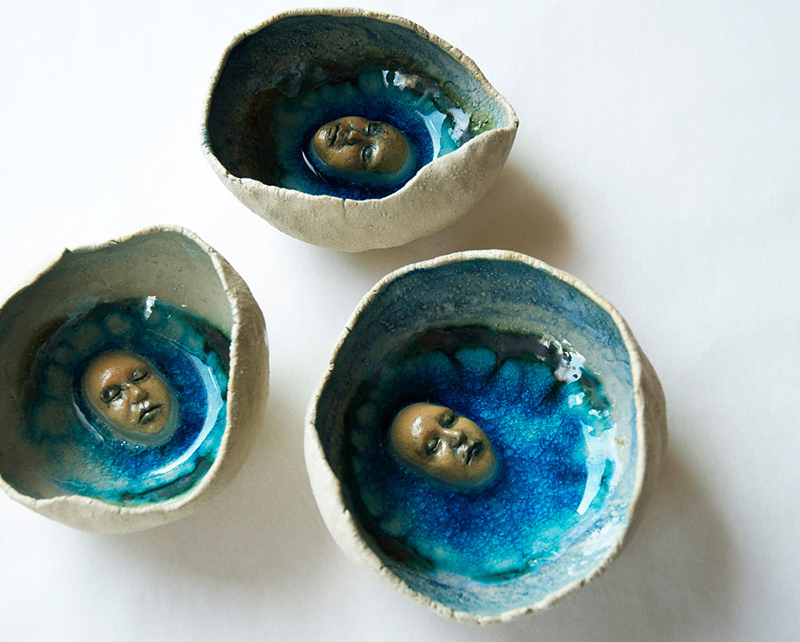 Now we would like to introduce all the participants one by one, starting from glass and ceramic artist Elina Salonen. “During the program I have discovered new perspectives” Salonen begins, “not really about making art but mainly about everything else that an artist should master”. Especially writing about one’s works and verbalising one’s artistic practice is something that we practice in SHIFT program. “Comments and constructive feedback from external mentors and other participants have drawn my attention to how to write applications texts or to improve my artist statement” Salonen explains. 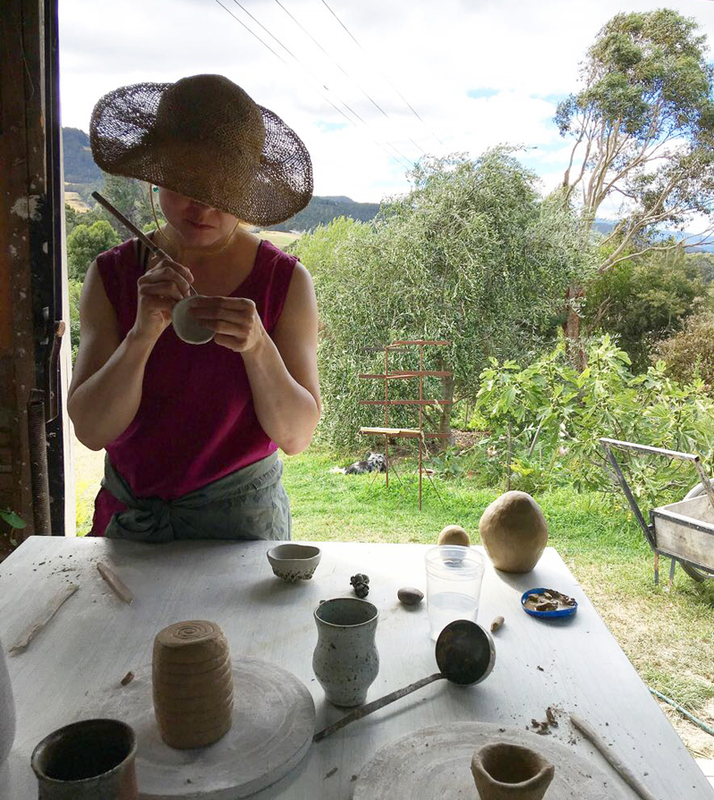 Salonen just came back from Tasmania, where she spent two months of working at Studio Zona’s ceramic studio at Glen Huan. She flew to the other side of the world to learn more about colored porcelain and the nerikomi ceramic technique. 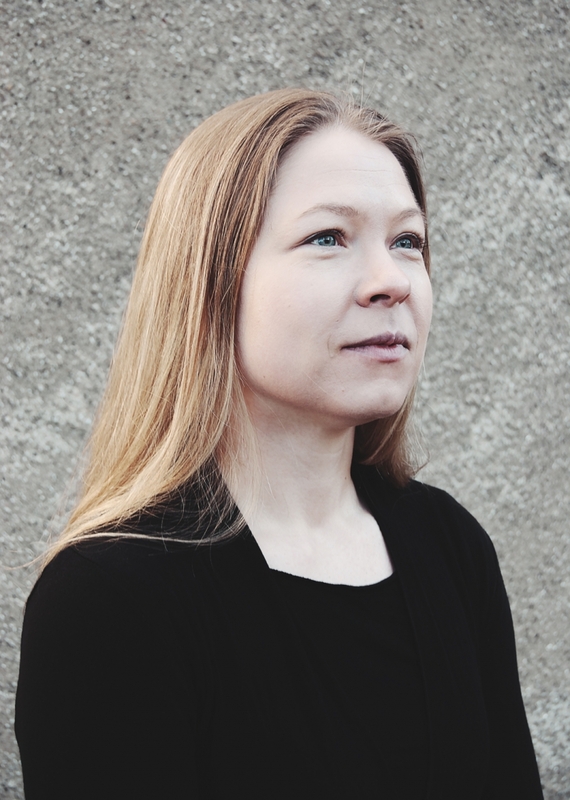 “I’m very interested in the technique and looking forward continuing the work in my studio at Hämeenlinna” Salonen rejoices. In her earlier work Salonen has been interested in how the environment effects individuals and how we observe our surroundings. “While travelling and working in a totally new environment, I have started to think about all the things and elements we pay attention to. For example, the colours and the nature in Tasmania will definitely affect my future works” Salonen expands. Meeting local glass artists and sculptors, and having a chance to visit local galleries and museums taught her how the art field operates in Tasmania. “During my stay, I learned the importance of creating and maintaining good contacts”. In the end of June Salonen will travel to Denmark to take part in the opening of Olo – Mærkbart, Finnish Danish group exhibition (22.6.–10.9.2017) at Øregaard Museum (Hellerup). The exhibition showcases the national differences and commonalities of Finnish and Danish artists, and was previously on display at Poikilo Art Museum in Kouvola (FIN). “I met some of the artists at the opening in Kouvola, and now I have the chance to visit their studios. I have always been interested the latest developments of my field internationally” Salonen explains. “To me the most interesting part of my work is the process of continuous learning. Taking part in courses is the best way to learn new techniques and get to know international colleagues” Salonen describes. In July she will pursue Materiality making Meaning glass masterclass lead by Annie Cattrell at North Lands Creative Glass. “My aim is to learn new ways and perspectives for designing and executing big glass works as part of built environments. Cattrell has created several installations in public spaces. I’m also interested in the glass centre and the residency possibilities they have to offer. I believe that the magnificent landscapes and nature in North Lands will offer me an inspiring surrounding to work in.” Salonen portrays. “I’m ever so excited when I have a chance to learn something new, international teachers have always been passionate and willing to share their knowledge on several techniques. I believe that anybody can develop their technical skills and there’s no need to hide it. But the work cannot only be based on the technique” Salonen emphasises.